A thug with an English accent threatened two Bearsden pensioners after forcing his way into their home yesterday evening. But he and two accomplices ran away when the house alarm went off. Police are appealing for help from the public after the harrowing incident at Cromalt Crescent, which happened around 7.40pm. The would-be robber gained entry through a rear window and confronted the couple, aged 65 and 64, threatening them and telling them to hand over their belongings. When the alarm was activated he fled empty handed, along with another two men who had been lurking outside. The three suspects ran up a lane towards Stockiemuir Road, near a BP petrol station where it is believed they may have got into a vehicle. The man who gained entry into the property is described as 5ft 9ins, stocky build, and wore a black jacket, black jogging bottoms and a hat. His face was covered, but he is said to have had an English accent. 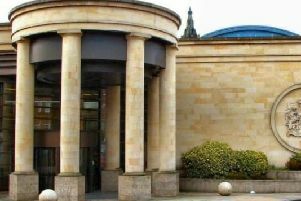 Detective Inspector Jim Biggam, Glasgow Stewart Street CID, said: “Thankfully nobody was harmed, or anything stolen during this incident, however the couple have been left extremely fearful and shaken. “We have been conducting door to door enquiries and checking CCTV within the area in order to trace the suspects involved and are looking for anybody with any further information to come forward and contact us. Anyone with information is asked to contact Glasgow Stewart Street CI via 101, quoting incident number 3098 of Friday January 5, 2018.